ST-Aud: STScI Bahcall Auditorium, seats ~140 people. Plenary sessions and joint WG sessions. B462: Bloomberg (Physics Dept.) Rm. 462, 40 people. B475: Bloomberg Rm. 475, 30 people. B447: Bloomberg Rm. 447, 20 people. The meeting will be held at the Space Telescope Science Institute and the Physics Department of The Johns Hopkins University. These buildings are located on either side of San Martin Drive on the west side of the JHU campus. The conference hotel is The Inn at the Colonnade, which is a five minute walk from STScI and the Physics Department. Reservations must be made through this web site. There is also a Google maps satellite view image attached below showing a couple of options for walking from the hotel to STScI and the Physics Department. You can also get a high-resolution version of the picture. Three airports serve the Baltimore-Washington area. Baltimore-Washington International (BWI) is the closest, but it has rather limited direct flights to destinations in Europe. Washington National (DCA) has no international flights but might be convenient if you are planning to visit Washington, DC before the meeting. Washington Dulles (IAD) is where most direct international flights arrive. It is in Virginia, about 30 km west of Washington, DC. 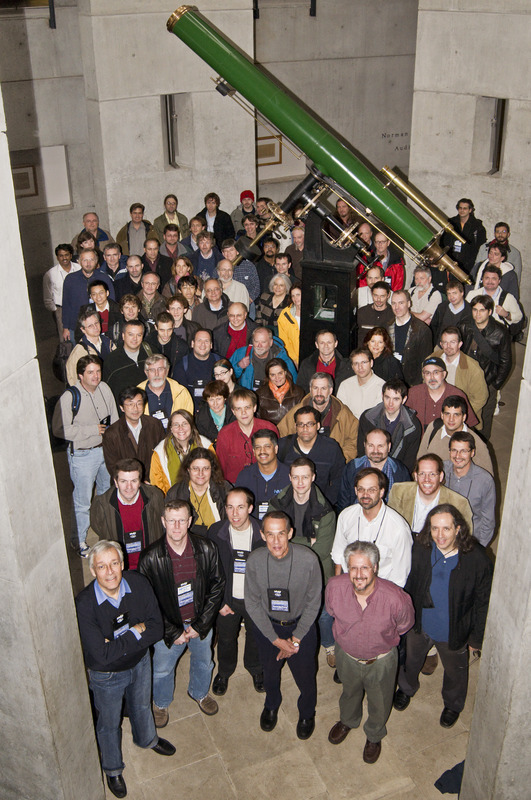 See [[http://www.stsci.edu/institute/conference/ivoa2008/directions][this link] for driving directions. From BWI the best option for getting to STScI, JHU, and the Colonnade hotel is to take a taxi. The cost is approximately $40. There is also a light rail service from the airport to downtown Baltimore, but it does not come within walking distance of the campus. One could take the light rail to a major downtown stop and then take a taxi in order to save a little money. This site has further information about the light rail service. From DCA it would be a very expensive taxi ride to Baltimore. A better option would be to take the Washington Metro from DCA to Washington Union Station, and the train from Washington to Baltimore Penn Station, and from there get a taxi to the hotel. Here are the relevant web sites: Washington Metro, Amtrak train. From IAD it is again an expensive taxi ride, well over $100. And, at rush hour it can take some time, the distance being about 100 km and the route including the Washington, DC Beltway. The public transportation option is to take a shuttle bus to the West Falls Church station on the Washington Metro, take the Metro to Union Station, and the train to Baltimore. There are also various limo services. If there is interest we might be able to arrange for some sort of shared transportation at a more modest rate. The Maryland Shuttle operates shuttle vans between all airports and Baltimore. If there are enough people to occupy a full van, the price is very reasonable. See http://www.marylandshuttle.com/ for contact information and on-line reservations. Here is a twiki page where you can list your arrival times and see if you can share transportation: AirportArrivals. Many people are likely to go to Quebec from Baltimore for the ADASS conference the following week. There are no direct flights from BWI, DCA, or IAD to Quebec (YQB). The nearest airport with non-stop service to Quebec is Newark, NJ (EWR). International travelers might find it convenient to use Newark as a hub. The Amtrak train has a stop at the Newark airport, and you could take the train from there to Baltimore. The train takes about 2h15m and runs about once every hour or 90 minutes depending on the time of day, with one-way fares about $100. Station codes are EWR (Newark airport) and BAL (Baltimore Penn Station). Continental Airlines has four daily non-stops from Newark to Quebec. Information about visas for entering the USA is available at http://www.unitedstatesvisas.gov/visiting.html. Residents of most European countries, plus Australia and Japan, may enter the US under the Visa Waiver Program if they have an electronically readable passport. However, please read the rules on the visa website for the official word on this. Please contact Roz Baxter (rbaxter at stsci.edu) if you require an official invitation letter to support your visa application.